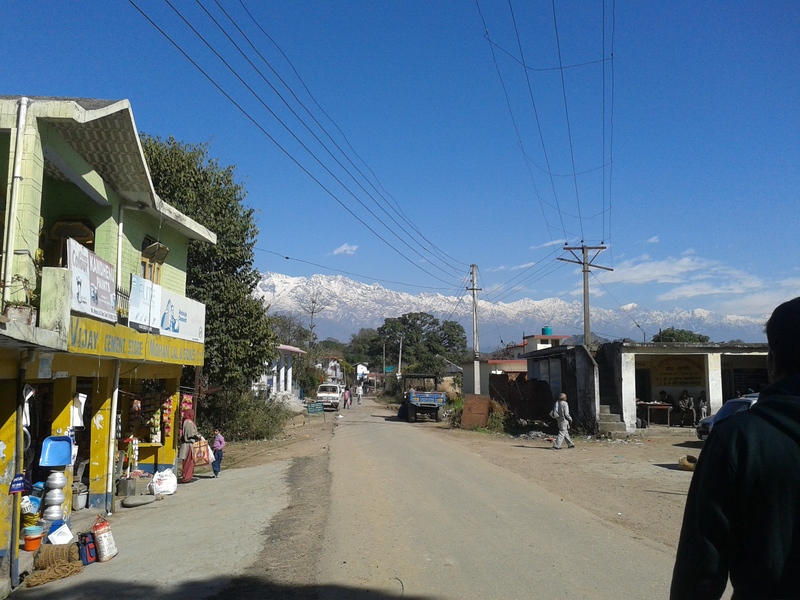 A view of the Himalayas from the village of Sunhi. 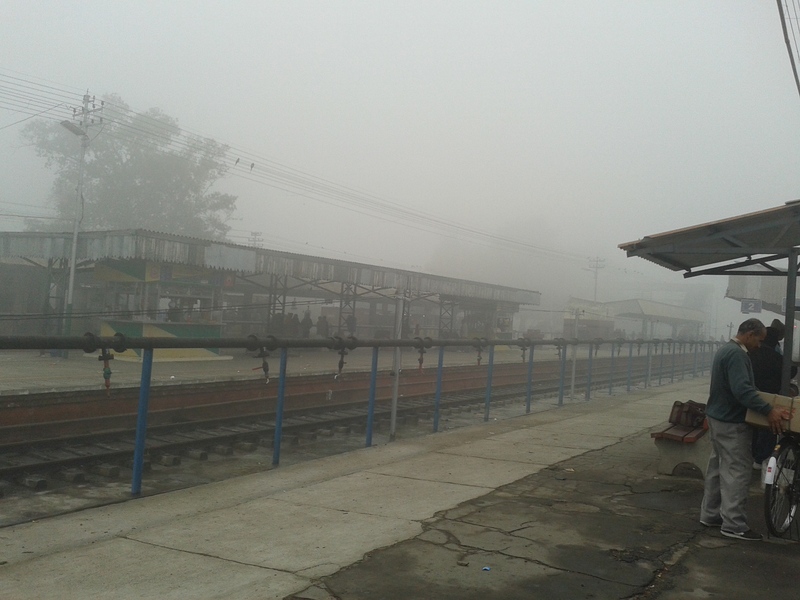 Bhatinda station, Punjab at 9 am. 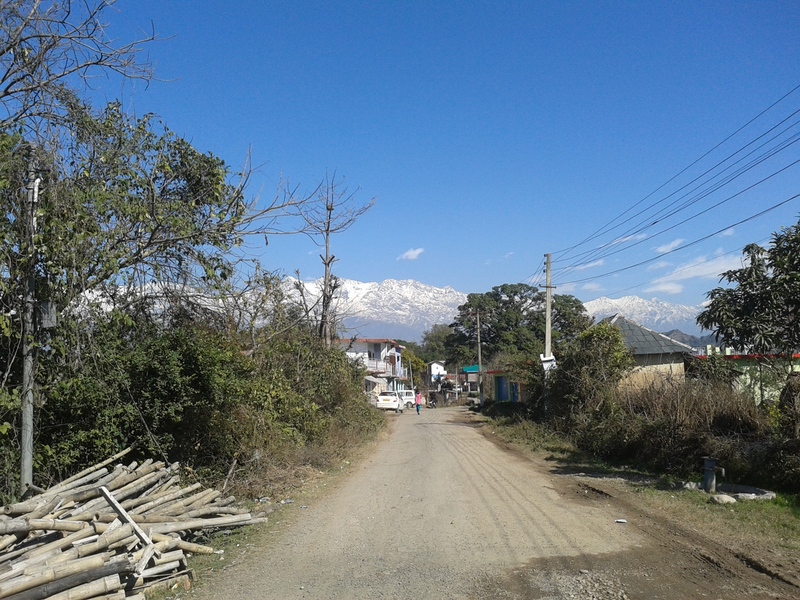 The entire north India was reeling under a cold wave. 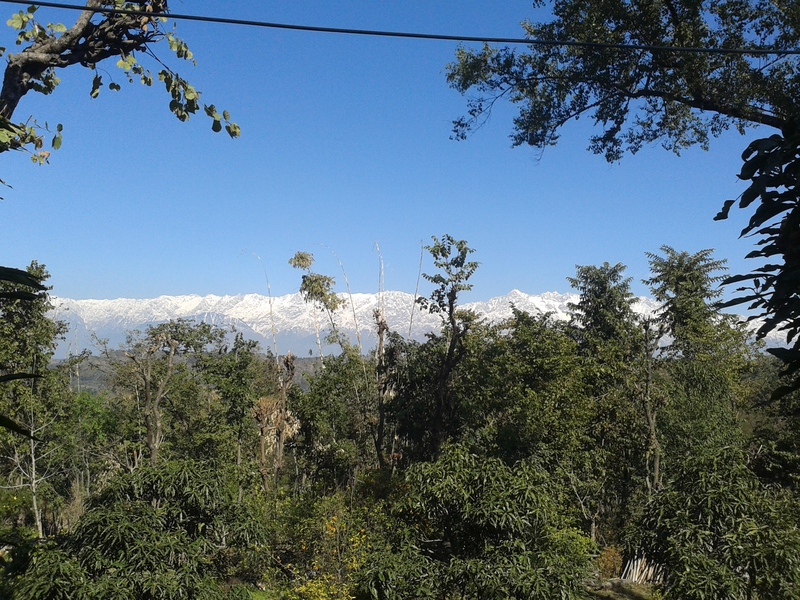 A family function gave me an opportunity to spend few hours in a small Himalayan mountain village. First of 2 parts. On reaching Himachal Pradesh by train through fog-covered lands of wintry Rajasthan and Punjab, we found that the temperature had stabilized here after more than a fortnight of rains. Population – 2,500. Elevation – 750 metres. Located 20 kms east of Kangda, Sunhi is home to mostly farmers and shepherds. There is a bank, school, a temple and few shops. 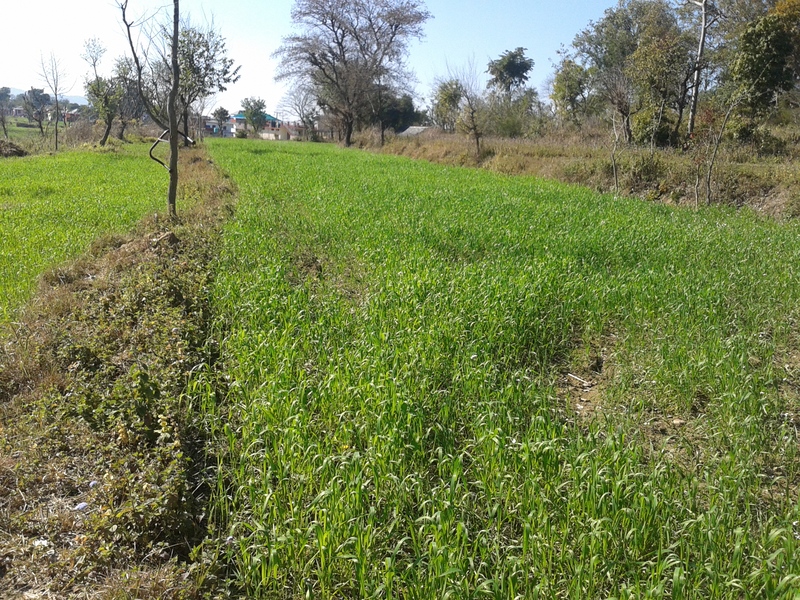 Wheat, paddy and corn are alternately grown in the stepped fields along with vegetables. 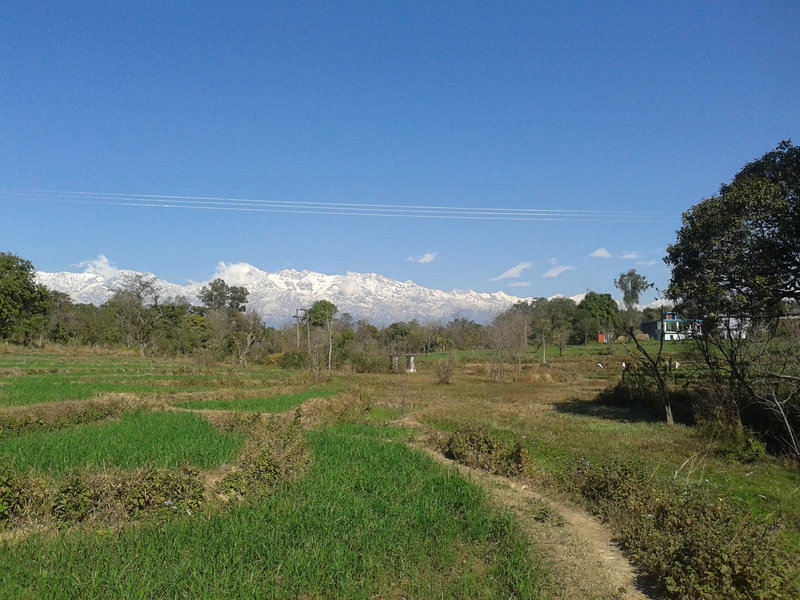 Beyond the fields, rise the mighty Himalayas. The nearest peak is at the height of 4 kms. I spent time with a young guy who showed me around Sunhi. 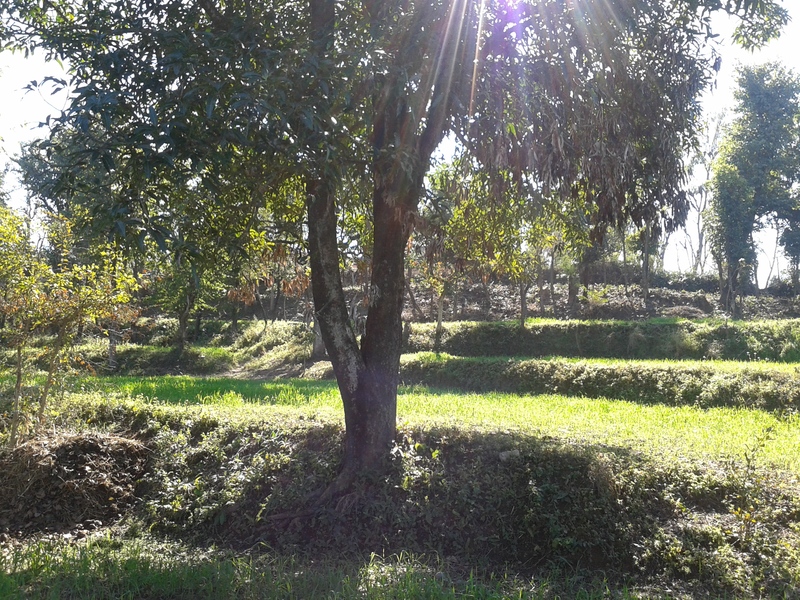 Rains are the primary water source for agriculture. Mountain springs are mostly used for household necessities. The villagers have laid stones beside these, creating a structure known as bavdi. As we roamed after our heavy lunch, I couldn’t help but marvel at the natural beauty of the place. Time seemed to roll very slowly here. When I told him that his village was wonderful – beautiful, calm, free of noise and pollution, and everything fresh and healthy, he replied a trifle sadly that he was bored with the mountains and tired of the cold. He was waiting to get out and go to the cities. 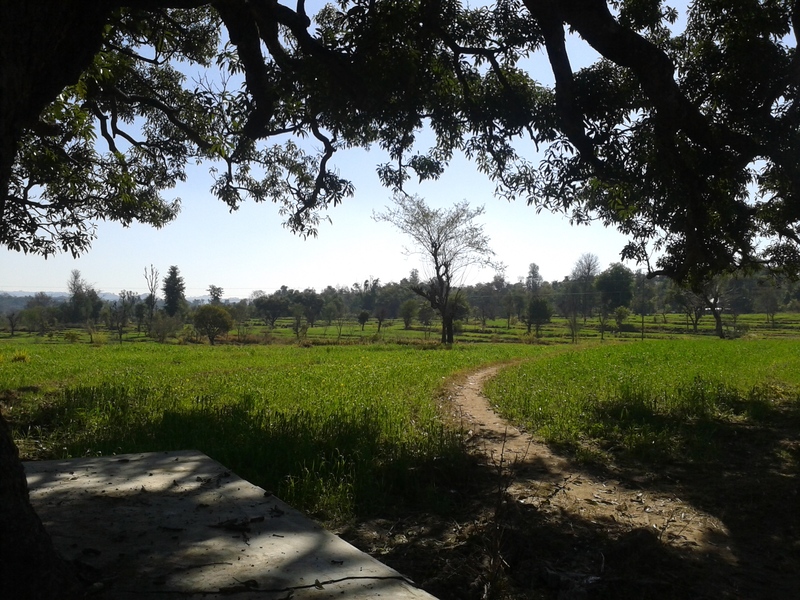 When he said that, I was suddenly pulled out of my “city-boy-dreaming-of-an-imaginary-wonderful-rural-life” thoughts and got a momentary glimpse into the exact opposite – my young friend’s dreams of leaving this village and coming to urban India with its supposedly limitless facilities and opportunities. 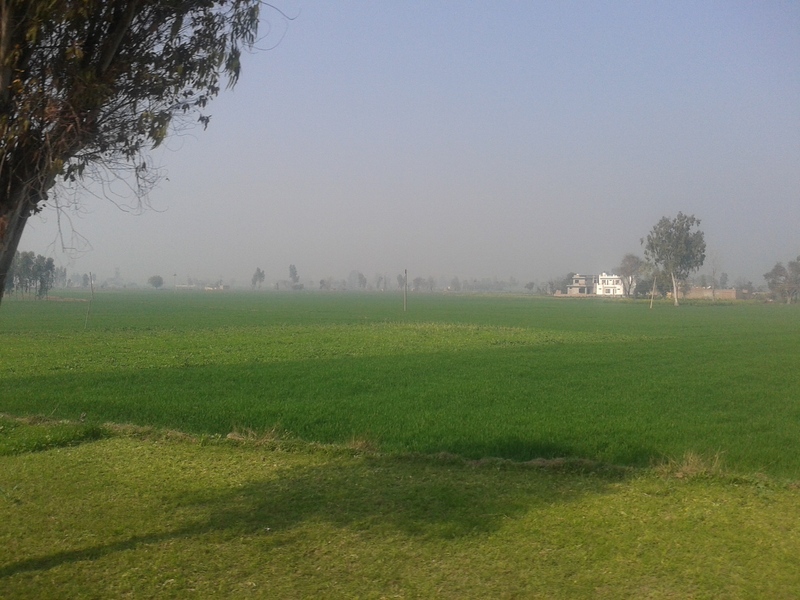 The fertile fields of Punjab. 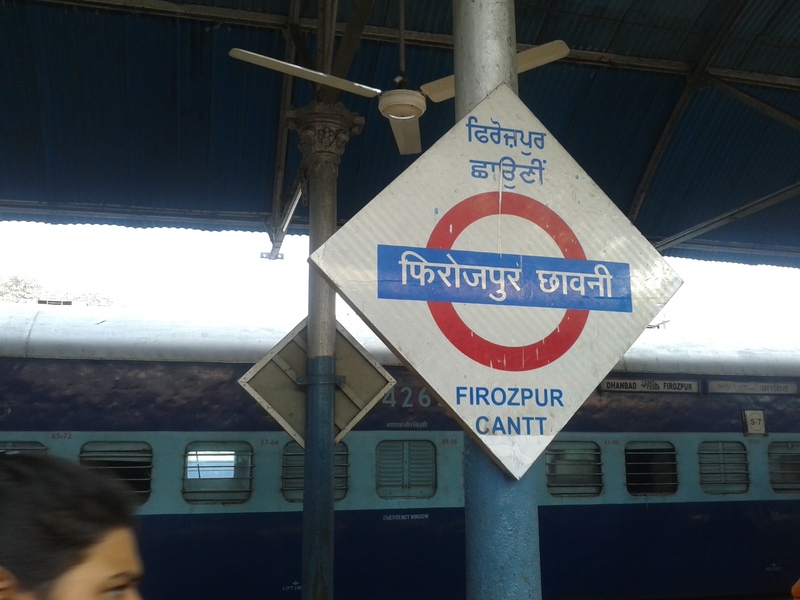 Firozpur, Punjab. This was the closest I have been to the India-Pak border. From beneath a banyan tree where the village seniors gather, Sunhi. Wheat and paddy are grown in alternate seasons. Fields are created in a stepped fashion to prevent water accumulation. Very beautiful pics!!! All your travel posts are excellent!!! Thank you. 🙂 And thanks for checking out my blog. Although photography is not my real passion, I do click occasionally as a support to my posts. Wonderful. I would love to visit the place. The hill people love rice, you know. Why, I don’t know. Go to NorthEast, for example. Enjoyed your post and rich details from travel.